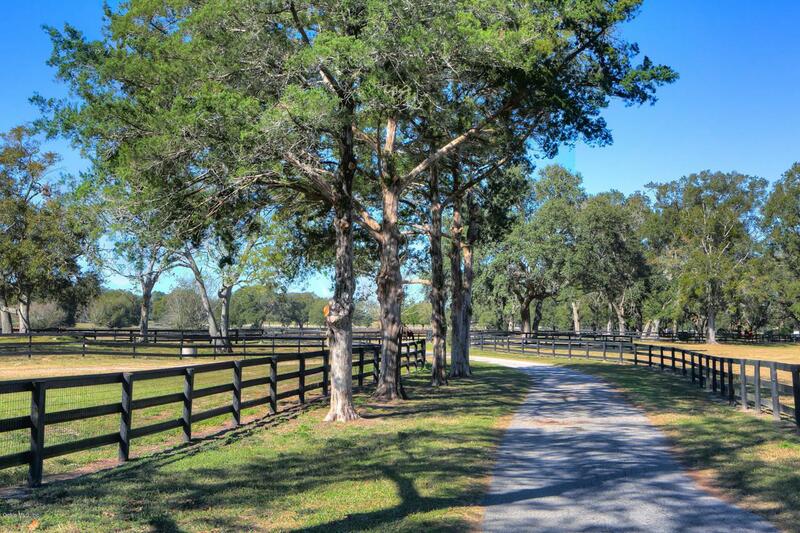 This amenity filled 45+ acres is the perfect place to carry out your equestrian dreams! 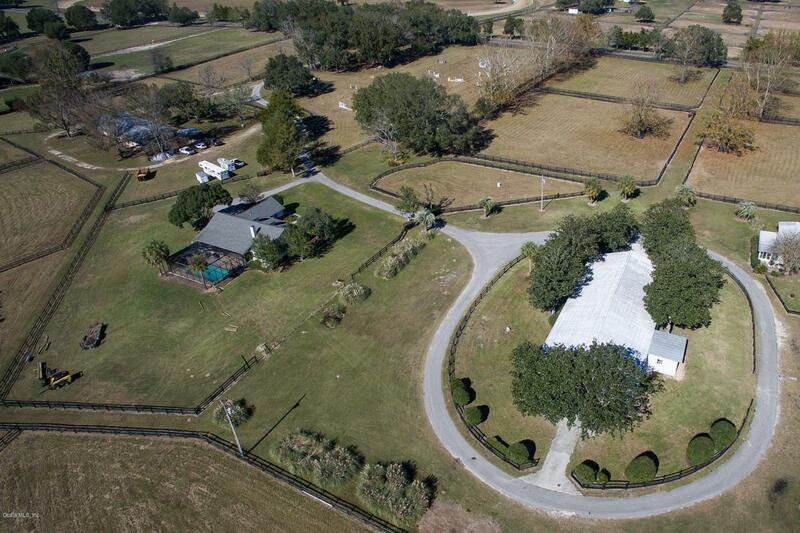 It's located deep in the heart of Central NW Ocala's horse country, and a short hack to HITS! 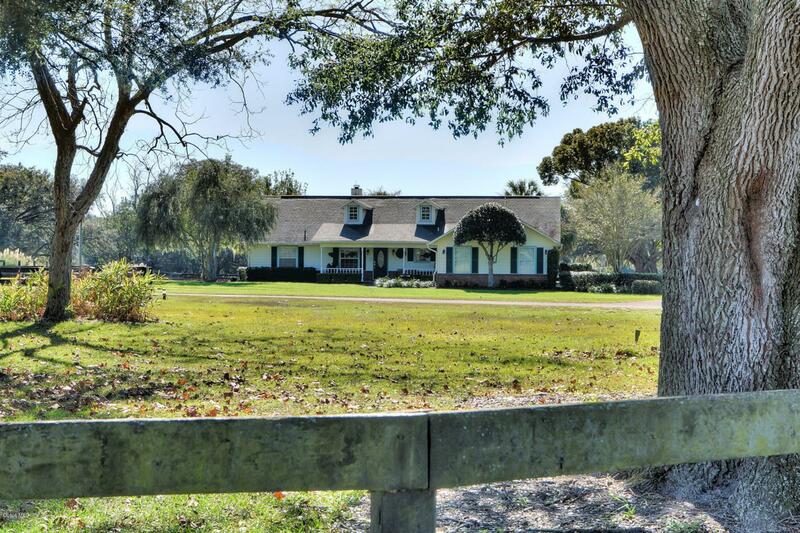 It's near main roads, shopping, dining, and a short ten minute drive to the new World Equestrian Center as well as the area's finest country club, Golden Ocala. 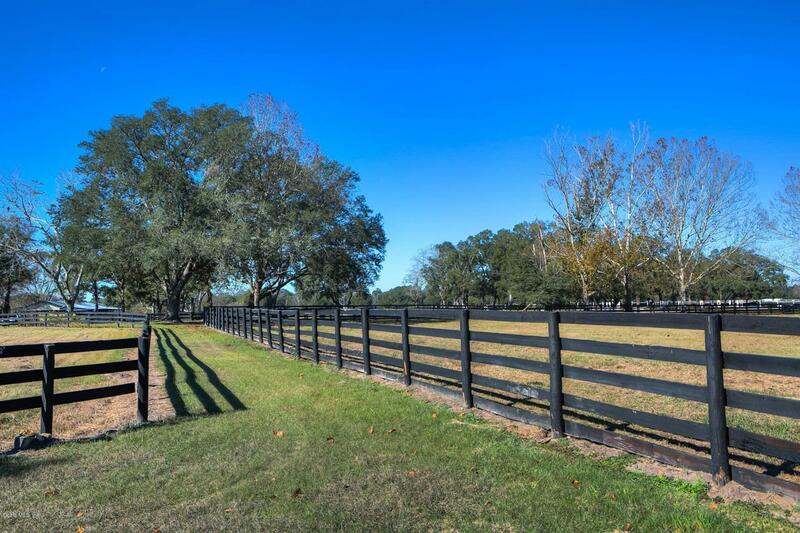 This beautifully laid out farm has 13 lush paddocks with mature shade trees, all board fenced. There are two well-maintained barns housing a total of 30 stalls, 3 tack rooms, 3 wash racks, bathrooms, and an office. Also included are a 3 BR/2BA manufactured home, Eurocizer, kennels, and RV parking. The main home has recently been renovated to include hardwood flooring, crown and base molding and painting throughout interior, fully redesigned andrenovated kitchen with custom cabinets, granite counters, island, new stainless appliances and lighting. Master has new built in vanities with double sinks, new fixtures, lighting, and shower doors. Wood-framed glass doors provide tons of natural light, and lead out to the charming lanai and screened pool area, overlooking the pastures and vistas beyond. This farm is beautifully maintained, conveniently located, and perfect for any discipline. Come take a look!